Ray Hesselink is a Director, Choreographer and Comedian living and working in New York City. Ray has presented choreography at various festivals and venues round NYC. Ray specializes in creating character driven choreography and excels at comedic storytelling through dance. Ray loves to make people laugh! As a dance instructor, Ray has had the privilege to help train the children who performed in Broadway's Billy Elliot: The Musical. Ray is on faculty at Juilliard, Broadway Dance Center and STEPS on Boradway in NYC. He also coaches actors privately. Ray holds a B.A. from the School of Theater at UCLA. Making his Broadway debut at age 15 in BiG-- the Musical, Enrico has since then starred in the Broadway and national touring companies of Here Lies Love, Rent (Angel), Mamma Mia (pepper), The Radio City Music Hall Christmas Spectacular, Miss Saigon, Fame, Footloose (Ren), West Side Story, Bye Bye birdie starring Rue McClanahan, and Crazy for You choreographed by Susan Stroman. Enrico served as assistant choreographer and dancer in an episode of CBS' The Good Wife. He also back up sang and danced for Bruno Mars at NFL Super Bowl XLVIII. His national commercials include Starburst, UPS, Subway, Mountain Dew, TD bank, to name a few. As an educator Enrico teaches Jazz, jazz funk, Lyrical, contemporary, and musical theater at several studios and universities across the country and recently in Tokyo, Japan under the company "Broadway in Japan". This fall he will be joining the teaching staff of InStudio Dance alongside Marguerite Derricks and several So You Think You Can Dance alum, and at Broadway Dance Center. Marten Niner resides in Phoenix, Arizona and has 30 plus years of acting, improv, stand-up comedy, and performing experience. 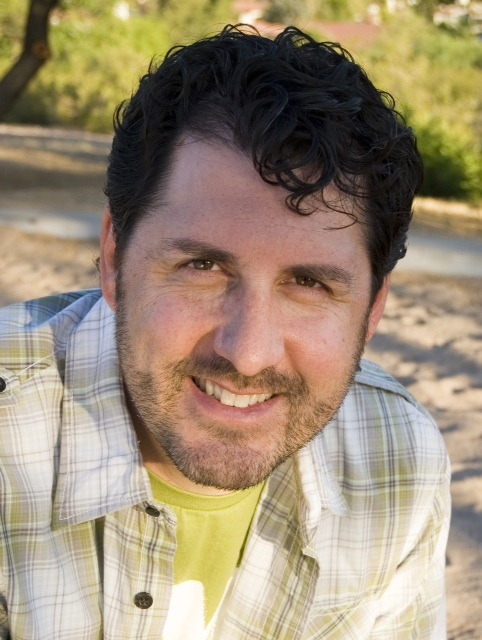 He has directed and performed with Dance Motion, Jester ‘Z Improv Group, Stick Horses in Pants Improv Troupe, Arizona and Colorado Renaissance Festivals, The Oxymoron ‘Z, Phoenix Symphony, and Valley Youth Theatre’s HaHa’s Improvisational Comedy Troupe. He is also the co-founder of Pantheon Enterprises, an environmental chemical company. He is the founder and lead guitarist and singer of local funk band JUNK and performs regularly throughout the valley. His expertise in Improv Comedy brings him to our faculty where his classes will focus on improvisational ideas and techniques for acting, auditions, job interviews, interpersonal interactions and life in general. Marten’s teaching techniques also encompass overcoming personal obstacles (self-doubt, fear, drama (not the good kind), confusion and/or procrastination through learning simple techniques with a foundation in improvisational comedy. Courtney Rioux lives in Chicago and loves her agents at Stewart Talent and Shirley Hamilton. A proud member of SAG-AFTRA, Courtney has been heard and seen in commercials (even a Superbowl Commercial!) for companies lie McDonald's, AT&T, All State, and more. She currently plays a paramedic on NBC'sChicago Fire and Chicago P.D. She's a proud ISU Redbird who uses her theatre degree daily! Equally passionate about coaching, she started TheWholeArtist.com to help actors get unstuck and find happiness and success. She has a true passion for teaching youth and she can't wait to share her knowledge at JWOB!! DANYA TILLER has conducted choirs of all age ranges and levels for more than 20 years across the country. Earning a Bachelor of Music in Piano Performance with a minor in Vocal Performance and a Master of Music in Choral Conducting from the University of Alabama, she is A.B.D. for the Doctoral Degree in Choral Conducting from the University of Oklahoma. She was Music Curriculum Consultant for Great Hearts Academies, where she trained new music teachers for their network of charter schools; she also founded and conducted the annual Great Hearts Academies High School Honor Choir and was the high school Music Theory and Choir Instructor at Great Hearts’ Chandler Preparatory Academy, where her elite high school ensemble performed in Carnegie Hall in 2010. Other past positions include Men’s Choir Director at Arizona School for the Arts, Associate Director of the Phoenix Boys Choir, Director of Choral and Vocal Activities at New Mexico Highlands University, Conductor/Director of the Jefferson Children’s Chorus in New Orleans, and Assistant Director of the Alabama Boychoir. Ms. Tiller has toured extensively with choirs worldwide, including performances in England, Italy, France, Spain, Germany, Austria and Canada. For twelve years she has been the Associate Director of Music at Mountain View Presbyterian Church in Scottsdale. An accomplished singer, she is in her eighth season with the Grammy Award-Winning Phoenix Chorale, and has been choral clinician for many regional festivals and workshops around the country. Ms. Tiller is honored to serve as Artistic Director for the Phoenix Girls Chorus. Bruce grew up in the arts and has performed in venues ranging from performance halls in the U.S. to the concert stage in Monte Carlo, Monaco. Trained under the legendary jazz instructor Frank Hatchett, his studies also included voice and acting. Some of his early tap influences were Gregory and Maurice Hines. His performance credits include featured roles in musical productions such as, "DreamGirls," "Philly's Beat," "The Evening is Yours," and "The Swan Ball." In addition, he was a featured singer with the R&B group "Secrets" and has done commercials for radio and television. These days he can be found teaching Tap at local colleges, high schools, dance studios and various dance festivals.